It may not seem like it, but rats are one of the most commonly found nuisance animals in the Dallas area. Any number of rats in your home or business is too many, but the fact that they multiply very quickly means that even a small infestation can grow out of hand before you know it. The best way to fight a rat infestation is to prevent one from happening in the first place. Rats are attracted to easy sources of food and water, so it’s very important to keep food sealed up in air-tight containers. Critter Control of Dallas is your total solution for all things rat control. 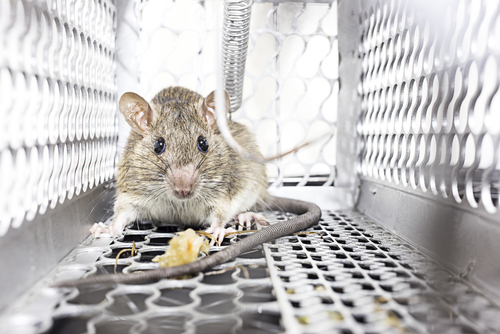 Instead of just removing the offending critters from your home, we take the extra steps to find where the rats are nesting, what their food sources are, and how they entered your home or business. Once the information has been gathered we’ll sit down with you to create a plan to remove the rats that works for you. Once the infestation has been brought under control, we seal any entrance points to help ensure there are no repeat incidents. Rats can cause a startling amount of damage in a short time if not addressed promptly. Their habit of constantly gnawing on things puts your home or business at risk. Rats are particularly fond of chewing up wiring which puts your property at risk of fire and power outages. In addition to the damage they can cause to property, they carry a range of diseases which are easily transmitted to humans which is why it’s critical to never touch a rat or their waste with bare hands. Give Critter Control of Dallas a call today at 817-222-1101 or fill out a Contact Us form for help with any and all rat control problems you may be facing.